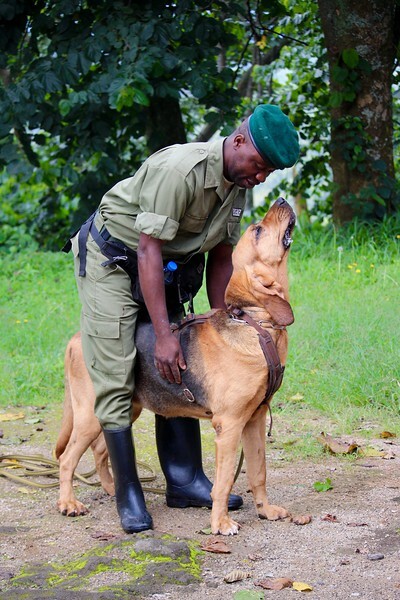 Virunga has suffered more service deaths amongst rangers than any protected area on earth. Despite this somber reality, the rangers continue to risk their lives each and every day to protect the gorillas and wildlife of the park they call home. What the rangers find even scarier than their own fatality, is the prospect that their wives and children will suffer in destitute poverty once they are gone. Unfortunately the government only provides a meager two percent of what the rangers used to provide their family. Virunga National Park's Fallen Rangers Fund is working to ensure that the deceased rangers’ families can afford health care, education for their children, and a basic living allowance for survival. Emmanuelle de Merode, the Director and Chief Warden of Virunga National Park, has been searching for the widows of the deceased ranger since 2007. His team’s tireless efforts have succeeded in identifying approximately 75 percent of the widows dating back to 1991 when conflict ensued. The search will continue until every widow is cared for. The Fallen Rangers Fund consists of two phases. The first phase is the financial support of the widows. Each family is receiving a monthly stipend to provide basic nutritional needs to thwart the malnutrition, disease and early deaths that have been plaguing the rangers’ families. The goal of the second phase is to create a permanent endowment for the widows and their families, to ensure the longevity of their support. Furthermore, the Fund hopes to raise enough money to cover medical care and education costs in years to come. The six Empowers Africa trustees and advisory committee members had the privilege of meeting several of the widows, and discuss their aspirations and dreams. Below are photos of the Empowers Africa ladies meeting the widows and Virunga Rangers.